The Chiweenie is a cross between a purebred Chihuahua and Dachshund. 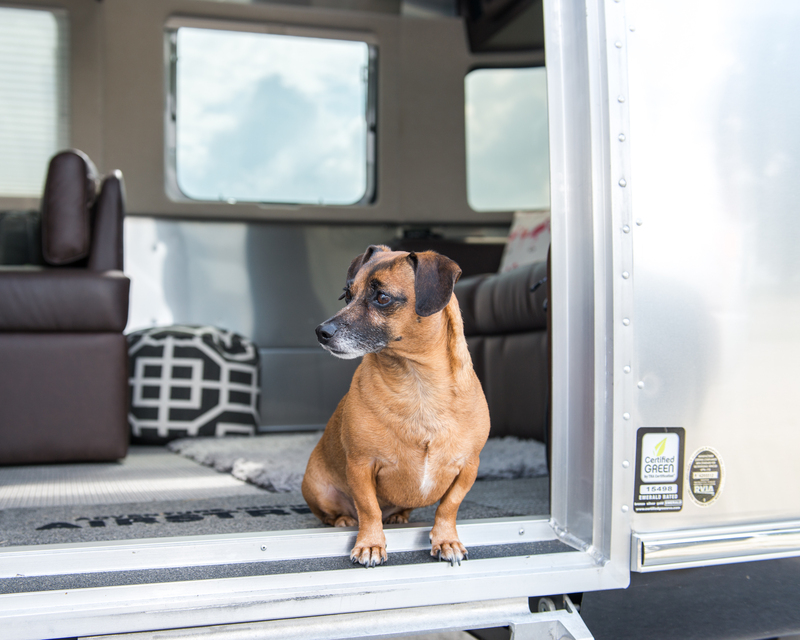 Ideal for singles, seniors and those who like to travel (the Chiweenie is quite portable). 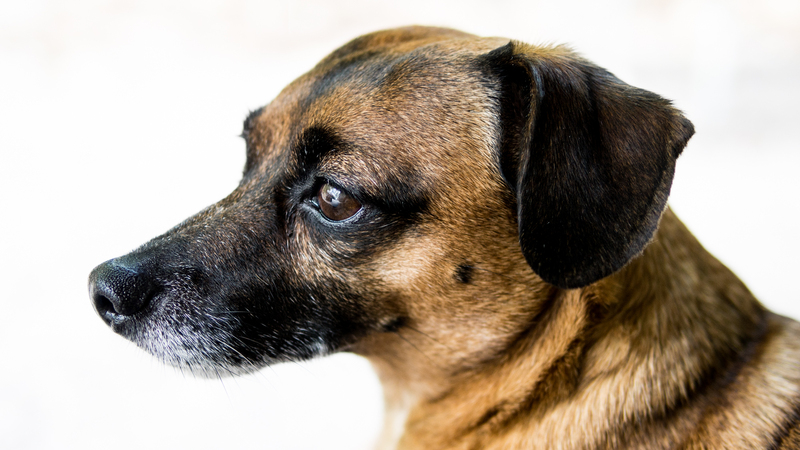 Driving to work one morning, Janet spotted a small dog wandering down the four lane highway. She watched in horror as the little dog was almost hit by rushed drivers that never noticed the little dog on the busy highway. Janet quickly stopped at the first intersection and opened her door. The tiny dog, wet and trembling from the cold, looked up at her. A month-long search for the little dog's owner only confirmed the obvious. The healthy, cute and ever playful little dog was not at all lost. Gadget was home. Terry said that God must have decided that we could use a little gift. Gadget was nursed from a scared, malnourished 8 pounds to a healthy, playful 11 pounds. She quickly assumed her rightful position as queen of the house and Airstream. Her favorite things are Janet's lap, peanut butter, laying in the sun, burrowing in soft blankets and traveling in the Airstream. The only time her tail isn't wagging is when she's asleep. 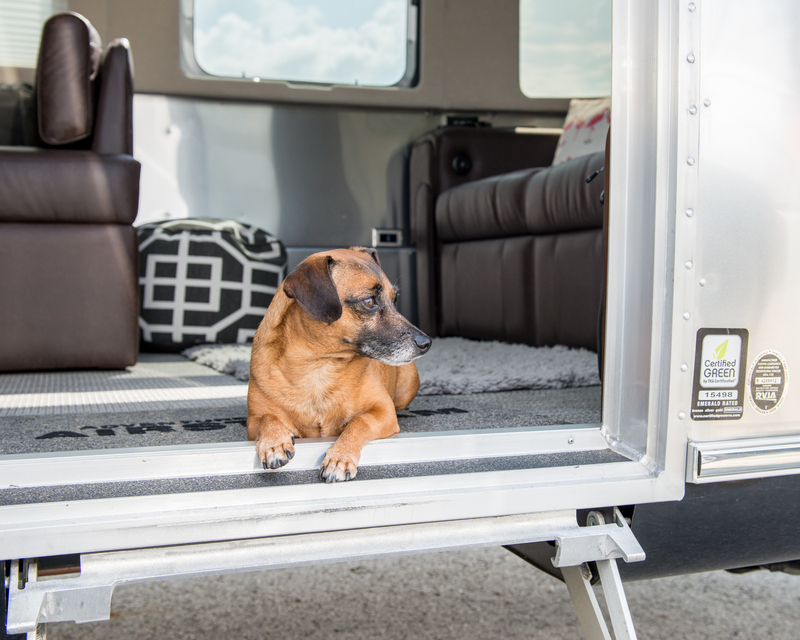 Stop to say hello if you see Gadget relaxing by the Airstream. She loves to meet people. The Merriam-Webster dictionary added 850 new words in 2018. One of the new words was "Chiweenie."